Maybe you’re a seasoned traveler who’s spent years sightseeing, fishing, and lodging. Or maybe you’re planning your first big adventure. Either way, there’s plenty of ways to make sure you have the experience of a lifetime. Below are six ways to make sure your vacation is more enjoyable. When staying at Dent Island, you should really consider including a Jet Boat Adventure Tour with your stay. During the tour, you’ll get a unique view of the natural scenery that British Columbia has to offer. You’ll also get up, close, and personal with the wildlife. This includes bears, eagles, a number of aquatic animals – and more! But don’t worry, you’ll be able to view them safely from the jet boat. The Jet Boat Adventure Tour will take you through the Dent Rapids, the world-famous Yuculta, and other places. This is a great way to safely enjoy some of the most exciting waterways in the world. Dent Island is a highly-respected British Columbia fishing lodge. When planning your stay, it’s an absolute must to make time for salmon fishing BC. When salmon fishing at Dent Island, fishermen and women have the choice of fishing in Campbell River – a world-renowned fishing ground. Vancouver Island and Stuart Island are also strong options. Dent Island allows you to take advantage of all of these fishing grounds with ease. The lodge itself provides views of the Yuculta and Arran Rapids – which are well-known areas in the salmon fishing BC community. If you’re new to the sport – no problem! The British Columbia fishing lodge provides expert guides and boats perfect for the area. 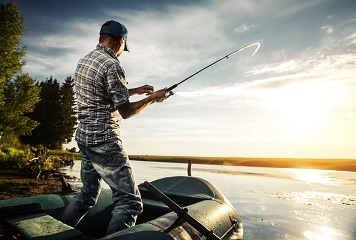 Dent Island also includes everything else to make this the fishing trip of a lifetime – including fishing equipment, gas for the boat, and freezing the fish you catch so you can continue the fun. So if this will be your first salmon fishing BC trip, or you’re a veteran of the sport, Dent Island has what it takes to make this the experience of a lifetime. When lodging at Dent Island, fine dining is available right on the grounds. The restaurant provides breathtaking views of the wild waters outside, and a cozy interior that includes a fireplace. Everyone from yachting enthusiasts to first-time visitors has provided incredible reviews of the restaurant. 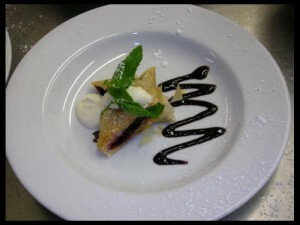 Dinner is five stunning courses. The winery is stocked with imports from everywhere in the world, including France and South America. Or, for something more casual, guests can go to the Rapids Grill outside. While still enjoying one-of-a-kind views and tasty options, the Rapids Grill is great for those who have had a long day out on the water. The lodging at dent Island is truly world-class. Each cabin was built in a specific spot to ensure the views from the windows are unforgettable. The interior design of the cabins are unique and charming in their own, special way. But all of them feature large rooms, a cozy fireplace, and private porches. Those who wish to arrive on boat will have no problem at Dent Island. This makes for an easy trip from places just off the coast of British Columbia. The marina provides different levels of phase power, water, and access to the entire lodge. If you do plan to stay overnight, it’s best to make reservations in advance. 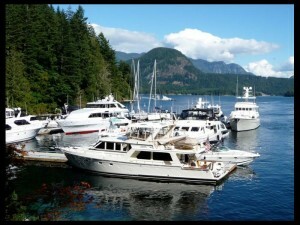 If a Jet Boat Adventure Tour, salmon fishing, fine dining, world-class lodging, and marina aren’t enough – don’t worry! Dent Island has plenty of additional amenities to make sure there’s never a dull moment during your stay. One option is to head to the lounge room. Here, guests can make use of the satellite television, play their favorite board game, or take in views of the marina while curled up next to the fireplace. Or perhaps you’d like to stay in shape during your stay. Dent Island does have a gym on site. Not only do the views continue from the gym, but the state of the art equipment will guarantee you don’t lose your progress during your vacation. Maybe you’d like to make use of the hot tub that’s just a few feet from the rapids. Or enjoy a challenging hike on the Tugboat Trail. Or just enjoy coffee and a snack. Whatever it is, Dent Island makes sure it’s available during your stay. When you arrive at Dent Island, you may be overwhelmed by the number of ways you can enjoy each day during your stay. Keep these 6 tips in mind to make sure you enjoy every minute. Whether you opt for salmon fishing or a Jet Boat Adventure Tour, you’re sure to gain memories that will last a lifetime.